Some organisations do conservation by having research labs and many scientists that work out in ocean environments collecting data and preserving species. 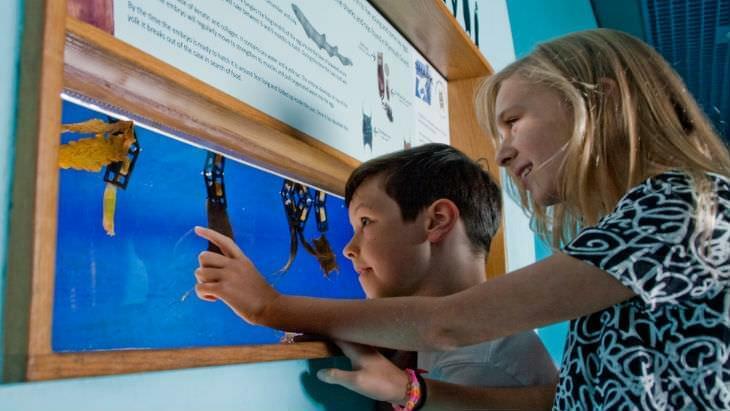 We have chosen to focus our Aquarium conservation and research efforts on understanding how our visitors learn from the Aquarium experience and, more widely, how conservation attitudes and behaviours can be encouraged. So therefore our research is about people. We have recently proven that the marine environment and viewing aquariums can make people feel calm and relaxed.This could save the NHS millions of pounds in medication for stress, anxiety and depression as doctors could recommend a patient to visit the ocean or an aquarium to improve their mental and/or physical well-being. We also discovered that people feel more relaxed when there is higher biodiversity (more variety of animals) in an exhibit – yet another reason we need to protect marine biodiversity!